Apa forex raptor ini seperti ea?... soalnya di web nya ada software buat kalkulasi segala? Why would forexraptor want to give his/her source code when he/she is selling the product commercially? And the bigger question is (for all commercial EAs, not just forexraptor), why the developer bothers to sell the product, mantain the product (bug fixes, etc), attend to customer supports etc when they can just let their sophisticated and profitable EAs autorun and generate money for them while they are having fun in Bahamas?? I am not trying to say that all EA developers are scammers, I really honestly want to understand their business model.I just dont understand why would someone work so hard selling EA while he/she can just make the EA run for them? p/s: I have tried forexkiller on demo account.., it appears to work. It quadrupled(?) the demo account from $500 to $2000 in 3/4 days, or probably I was just lucky, and of course I didnt do any money management, the trade could have also went against me and burn the entire money. problems and did not meet expectations. given via a dedicate group. FRF installation is more streamline and includes a comprehensive manual. 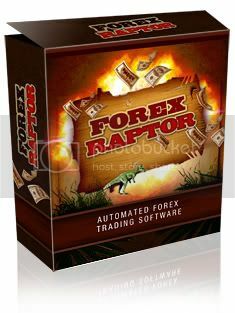 FREE and IMPROVED VERSION of Forex Raptor aka Forex Raptor Freeware. is better than the paid version with a lot of bug fixes. freeware version on a live account with Forex.com metatrader. Yes! I agree with u cubicrey.. some of marketer is a scammer..
You all are the real traders..